1 What is Alloy Wheel? 3 How to Choose the Right Type of Wheel? 4 How Much Does Alloy Wheel Cost? Alloy Wheel is an important part for high-performance cars. If you are thinking to buy an alloy wheel, you should have enough knowledge to make a better choice. In this article, we will discuss everything about alloy wheel, such as all the types of wheels, how to choose wheel for your car, comparison between each type of wheel, how to maintain and repair alloy wheel, where to buy alloy wheel. Alloy wheels have been known for centuries but they were mainly used in high profile vehicles in the past. As per now, these allow wheels are in high demand because of their performance and exertion. But what is an alloy wheel? An alloy wheel is made up from the mixing together a number of metals, particularly higher contents of aluminum and magnesium. These light-weight alloy wheels are preferred over a large type of wheels nowadays. They are mainly made up from mixing together of magnesium or aluminum alloys. However, their production may vary. Hence, there are four different types of alloy wheels known today. 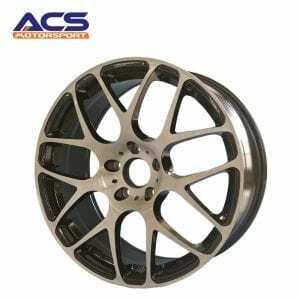 As the name indicates, these alloys are the normal alloy wheels containing a mixture of magnesium and aluminum alloys. Alloys provide more ductility as compared to pure metals. Hence, they are widely used in making the wheels nowadays to escalate their performance in one way or the other. These normal alloy wheels are more appealing than the steel wheels, thus, increasing their demand in the market. These alloy wheels consist solely of magnesium alloys. They are preferred over the aluminum allows because of their enchanting look and light-weighted feature. Magnesium is eminent for the look it gives to your vehicle and it will certainly stand out in the market if it contains magnesium alloy wheels. Moreover, these magnesium alloy wheels are the earliest known alloy wheels and their performance has been marked ever since. This alloy wheel is undoubtedly lighter than the aluminum alloy wheel but this is not applied to its strength. It consists of the same strength as that of aluminum alloy wheel. 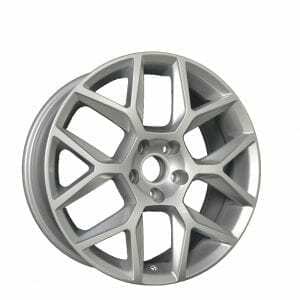 Casting wheel is the type of alloy wheel which is considered to be a low-quality wheel. This wheel is undoubtedly available in the market at reasonable prices but the main drawback of this alloy wheel the prodigious weight. Hence, these alloy wheels are not much in the demand nowadays as compared to the forged wheels. Moreover, there are numerous products faults found in the casting wheels. They tend to break apart during an exertion which is a major led back of this alloy wheel. Forged wheels are produced by a forging process. 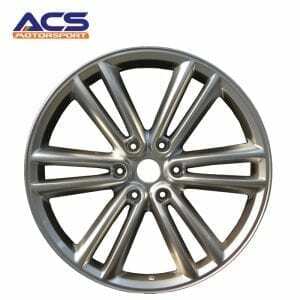 In this process, the alloy wheel is forged by the use of a strong forging machine. These forged alloy wheels are mainly used by professional drivers because of their light-weight feature and top-notch quality. The main drawback of these forged alloy wheels is that they are very costly. Hence, if you’re a non-professional they can certainly empty your pockets within minutes. How to Choose the Right Type of Wheel? Most of the people buy their cars with a lot of speculations and considerations but when it comes to selecting the right wheels, they often get confused. There are certain points you must keep in mind while selecting the right type of wheel for your vehicle. This is the key to selecting the right type of wheel. Just measure the diameter of and the length of your wheel side and buy the same-sized wheel afterward. Fitting not only enhances the visual appeal of the car but also aids in the smooth running of the car. Moreover, if you hit the road on high-speed, then this perfect fitting of the wheels will help in the nice functioning and running of your vehicle. If you’ve bought a car of several bucks and resort to uncomfortable wheels, it will nevertheless leave a bad impact. Thus, you should be looking forward to buying those wheels that have a high gas mileage and provide greater comfort. So, if you’re planning for road trips with your friends or your loved ones, you’ll remain comfortable throughout the long journey. Would you buy the wheels which have the long-lasting guarantee or that which is going to wire down in a month or so? Obviously, your prime focus must be on the long-lasting durability of the wheels. You don’t want to waste your hard-earned cash, no matter how much you love your car. Hence, you should be selecting those wheels which are can be used for a longer time. On a personal note, go for plus-sized wheels as they are known to be long-lasting along with escalating your vehicle’s visual appeal. How Much Does Alloy Wheel Cost? The cost of these alloy wheels varies widely. These alloy wheels are available in the market depending upon the brand of your car. The cost of these alloy wheels ranges from $50-$500. You can easily approach any of the alloy wheels depending upon your budget and car type. These alloy wheels may be costly for some of you but it is certainly worth your investment. These alloy wheels are considered to be a one-time investment because it is certainly long-lasting as compared to the other wheels. This is one of the best benefits exhibited by these allow wheels. Being light-weight not only enhances the fuel economy of your vehicle and also makes it a long-lasting one. It can be taken up to longer distances without any inconvenience. Moreover, it has been estimated that if there’s a decrease of approximately 10% in the weight of wheels, the fuel economy escalates about 7%. Thus, you must get your hands on these alloy wheels. If you want to showcase your vehicle and make it stand out in the horde of other vehicles then you must go for these alloy wheels. These alloy wheels have been known for centuries because of their stylish and enchanting look. Thus, to make your vehicle look more invigorating, these alloy wheels are your answer. Due to the complicated production procedure, these alloy wheels are drawn into various aesthetic designs and creations which enhance their visual appeal. This is the key advantage of these alloy wheels. You can test by taking your monster out on road trips or in a wet weather; these alloy wheels will remain corrosion-free as compared to other metallic wheels. Due to their unique building process, these alloy wheels remain long-lasting and don’t let your money be a waste. Looks don’t matter if the performance of your vehicle is not up-the-mark. Hence, focus on the visual appeal of the wheels but don’t forget its performance. As mentioned earlier, these alloy wheels are light-weight which enhances the fuel economy of your vehicle. These alloy wheels are manufactured in such a way as to provide greater thermal conveyance and dissipation which in turn leads to enhanced braking functions. Moreover, by using these alloy wheels the control and steering are also improved. There can be a lot of questions arising in your mind regarding the type of the wheel you should be choosing for your vehicle. However, there are pros and cons of every item. Alloy wheels are renowned for having good looks and high performance. These alloy wheels can be cast and forged into numerous shapes and sizes whereas steel wheels lack this property. Alloy wheels are light-weight as compared to the steel wheels and thus, opt for better performance, as well as acceleration. Steel wheels, on the other hand, are much heavier. If you go from using alloy wheels to steel wheels, you will notice a change in the performance of the vehicle. Moreover, alloy wheels can be bent as they are much softer as compared to steel wheels. Steel wheels are better to use in the winter season or in the hilly areas as they easily cut through the snow and don’t bend during the impact. Steel wheels are more powerful than the alloy wheels. However, alloy wheels are still chosen over steel wheels because of their enchanting looks and ravishing performance. But some drivers who are not interested in the overall look of their vehicles or they are concerned with daily-driving routine, they tend to stick up with the steel wheels. Your vehicle may subject to any mishap such as dumping your car in a pothole, or many others. Often in these, the wheel becomes the victim. Hence, to repair your damaged wheel, there are two things you can do by judging the damage done to your wheel. For Mild Damage: For mild damage, you don’t have to go crazy all over the place. For this incident, just have an over the counter-kit which consists of a primer, paint, sandpapers, and a filler. However, the most important to keep in mind while using this kit is the patience. You must paint your damaged area very carefully and professionally. For Severe Damage: This is the damage when you need to call in a professional. This damage can be in the form of a fractured wheel, corrosion issues, bending, etc. These are the damages that can’t be done at the home by you. Hence, if you want to completely restore your alloy wheel to its original structure, you must call in a professional. Precautions are better than damage. Hence, in order to dodge any uncertain calamity with your alloy wheel, you must maintain it. But how? Clean: Cleanliness is the key to keep your item safe and sound. Therefore, you must keep your alloy wheels neat and clean by using a sponge and an alloy wheel cleaner. Cleaning your vehicle regularly will undoubtedly make your vehicle look enchanting. Use Shiner: Never forget to polish your alloy wheel. This removes the risks of getting corrosion and hence, it lasts longer than usual. Drive Safe: This point is optimum for maintaining your vehicle or your alloy wheels. When you drive safely and carefully, all the doubts about having an accident remove. Therefore, you must drive safe in order to keep yourself, as well as your car safe. Everything has a price. Thus, you must keep your budget in hand while looking for an alloy wheel provider. Many factory owners will try to deceive you by giving a high price for low-quality alloy wheel. Thus, you must think wisely. The price of the alloy wheels can be compromised but the quality cannot. Hence, you should consider this aspect while looking for an alloy wheel provider that they don’t compromise on the quality of the alloy wheels. Alloy wheels are all about the way they are manufactured. You must consider the production capability of your provider or the factory. Judge carefully the way they are manufacturing the alloy wheels and how to maintain their production. If you’re a car freak then your prime concern be with the performance of your car or vehicle. The performance, in turn, depends upon the qualified alloy wheels. 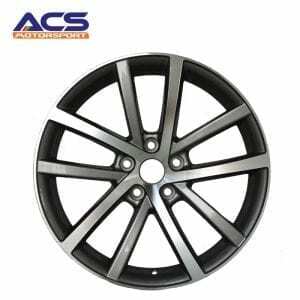 Thus, you must consider this thing while finding the alloy wheel provider or factory. Chinese have always been known for the hard work and time they put into manufacturing goods. If you’re looking forward to buying alloy wheels then you must consider the Chinese alloy wheel supplier. 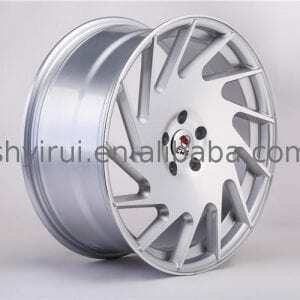 Chinese alloy wheel supplier manufactures alloy wheels at affordable rates. Customization options. Just tell them your raw vision and they will put it into reality. Different types of alloy wheels available. Thus, if you’re thinking of buying the ravishing, light-weight alloy wheels then you must look for a Chinese alloy wheel Supplier. A car certainly says a lot about one’s personality. Therefore, to find the best one, you should choose the best one. This entry was posted in Alloy Wheels and tagged alloy wheel, Alloy Wheels, casting wheel, forged wheel, magnesium alloy wheel, steel wheel, wheel.